ORCA Offshore offers more than twenty eight (28) years experience in the marine, structural and operational aspects of the design, fabrication and installation of fixed and floating offshore structures for projects in the North Sea, the Gulf of Mexico, West of Africa and in the Far East. 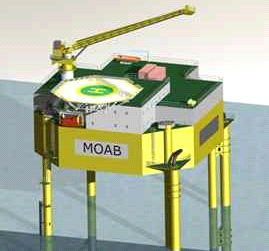 Experience includes traditional offshore work and more recent work for renewable energy projects. ORCA offers you innovative, persuasive, realistic, practical, co-operative, out-of-the-box, and enthusiastic service ranging from engineering, offshore support to Project management. 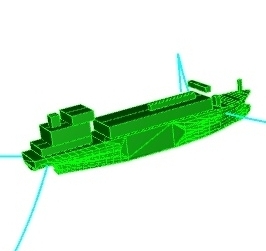 We perform all type of marine analysis to support any kind of offshore construction work. To do this, we combine hands on operational experience with unrivaled knowledge of multibody motion analysis based on interaction with waves and current and wind. Designing practical, efficient and save offshore procedures requires know-how, experience and good communication with all parties involved. Our tools and experience will help to reduce your offshore risks and down time. Using our many years of experience with innovations and our vast network we can assist your company to mature your innovation providing technology and strategic input. Mishaps are never nice to be remembered off, but it is essential to get the cause clear in order to learn from the experience and to prevent similar accidents to happen again. ORCA Offshore has close relations with various specialised companies which makes it possible for our clients to get complete solutions for their projects. See our Business network.